I have a favorite coat I've been wearing for at least 12 years. It was made in Paris, but I received it second hand. I have a favorite life. It's the one that I'm living every day. Like my coat it's become worn with stains and riddled with small holes over time. My coat has been mended before. As I got older and my body changed, I had to make the coat roomier. This was around the time I moved to San Francisco. I suppose it will be easier to clean the stains and mend the holes in my coat than it will be to get my life in order. In fact the coat is already back from the cleaners. It looks better, even though some of the old stains are forever, faintly present. After moving four times in the last six months, I had a good start on mending my life. I began eating better by cutting out sugar and eating more vegetables, cooking more and eating out less. But ever since my car was torched last week, recurring cycles of fear and anger, and general instability have been sapping my energy. My resources are running low, my relationship with my boyfriend is pending, and my dreams of building a life in San Francisco seem a shamble. On bad days, when these thoughts take over, my life feels too shabby to wear in public. It's time to spruce things up. It's a comfort to think about how little is needed to mend an old coat - thread, a few small scraps of fabric, a small dose of creativity, a large dose of patience and determination. If you have some mending you've been putting off, I invite you to join me this fall as I spruce up my Paris coat. Dig into your mending basket and choose a favorite jacket, or a pair of jeans, an old sweater, and let it stand for something deeper, something inside that needs a little repair. There's no shame in addressing the thread bare places in our lives. We will let the craft of our mending guide us. Feel free to share anonymously if you like. 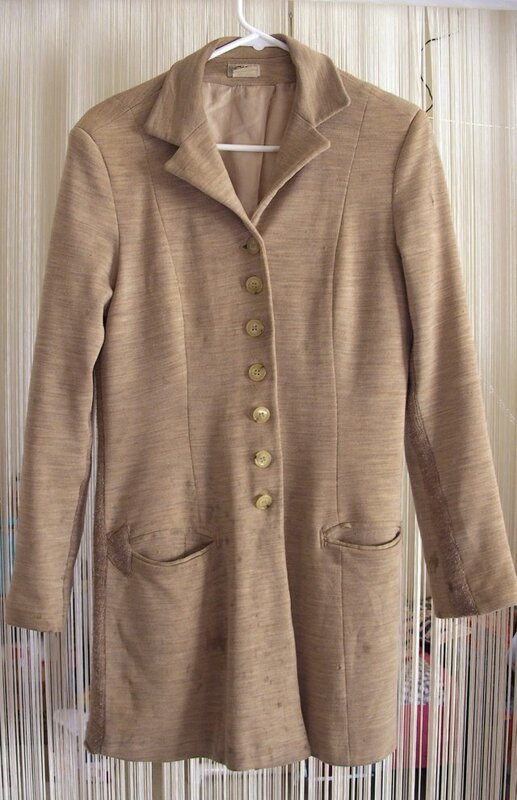 This is the first post of the series on Mending My Paris Coat.